Ouya will match Kickstarter funds raised by game campaigns that give the console timed exclusivity. 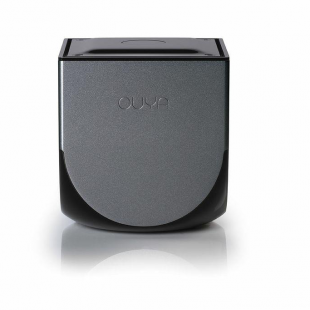 Ouya was arguably a rock star as far as videogame Kickstarter's go. Hooking tens of thousands with promises of an affordable and open console experience, it would go on to earn more than $8.5 million in crowdsourced funding, nearly nine hundred percent of its initial goal. That said, the days of people oohing and aweing (Ouya-ing, if you will) over the Ouya may have come to a close. With the reviews for the Android-based console out, both critics and consumers seem markedly underwhelmed. Chief among the many complaints now dogging the indie console is a simple lack of quality games. In an attempt to remedy this, the folks behind the Ouya have now announced that they will be establishing a new program dubbed the "Free the Games Fund". Ouya is putting up one million dollars that it will use to match the funding raised by gaming projects that give the console timed exclusivity to their games. To qualify a participant must raise at least $50,000 and, of course, have their campaign end in success. If they raise more than $250,000 however, Ouya will only match the first quarter of a million. Once the one million dollar fund runs out the program will end. This could be an interesting way for the Ouya to land much needed exclusive content. Likewise, it could also help independent developers expand their available resources. That said, considering the Ouya's narrow audience and the fact that participating games would presumably still need to be made following their campaigns, the actual usefulness of the Free the Games Fund could be limited. Independent developers might benefit from the extra funding but then find their games languishing in obscurity while they wait for Ouya's exclusivity to run out. Likewise, seeing as the Ouya could use better games now, titles that could take months or even years to finish realistically may not help the ailing console.